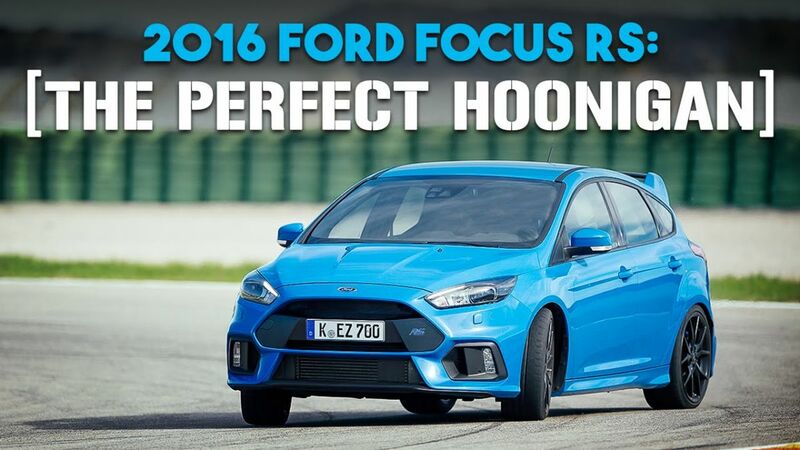 The hotly anticipated new all-wheel drive Ford Focus RS has been unleashed on the motoring press this week. We’ve seen snippets of action, but the first, full video review to hit our screens is by Alex Kersten from Car Throttle. Producing 345bhp from the 2.3 Ecoboost 4 pot motor (which it shares with the new Mustang) and with a 0-60 time of 4.7 seconds, the latest RS it is fit to take the fight to the latest super-hatches, led by the superb Volkswagen Golf R.
The chassis and driving dynamics seem to set the Focus apart from the crowd. With development input from Ken Block and a “drift mode”, including the ability to send up to 70% of the power to the rear (eat that Haldex) it’s a game changer for the whole market sector. I can’t wait to drive one. As an aside, Alex Kersten and Carthrottle are relative newcomers to the world of motoring video reviews. The obvious comparisons to Chris Harris have been made – with Kersten attracting some flak. I think that’s a bit harsh- Chris has had years to polish his performances, plus Alex certainly comes across as the every-man enthusiast, rather than being part of the Evo set.